Independent sales organizations are experts in networking and maximizing profits, so it only makes sense for ISOs to capitalize on deal placement services from a middle office brokerage firm in New York, NY, like Cardinal Equity LLC. A brokerage firm that offers deal placement assistance services can help your independent sales organization maximize closings and increase your profits. A large part of the service a middle office provides lies within the ISO-submissions department. Submissions departments must be outfitted with multi-talented administrative staff capable of servicing busy brokerages. Upon partnering with Cardinal, ISOs are taken under the Cardinal wing and provided with the administrative support they so desperately need. Cardinal helps brokers fund their hard-to-place files, monetizing leads that were previously collecting dust. Swift scrubbing, prequalification, and fast feedback are crucial to a broker’s bottom line. These services provided to independent sales offices allows brokers to provide superior service to each merchant they do business with. When it comes to closing a deal with a new merchant, clear and rapid communication is key. 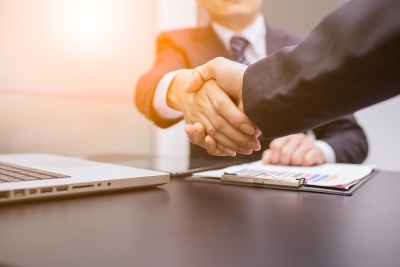 Middle office brokerage firms manage the back and forth communication between brokers and funders and keep independent sales organizations informed of the status of the deal throughout the underwriting process. Deal placement assistance ensures timely responses for your deals. When your independent sales organization is looking for a brokerage firm that offers deal placement assistance, it’s best to choose a firm that is focused on more than just its own bottom line. Choose a company to partner with that emphasizes long-term growth through innovation and ongoing learning opportunities, industry networking opportunities, and educational sales programs along with deal placement assistance.